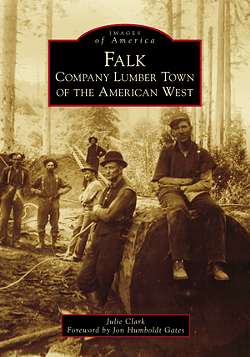 Local author Julie Clark will be at Booklegger to sign copies of her new book, Falk: Company Lumber Town of the American West. Meet the author, who in addition to writing the book on Falk, is currently the Ranger at Headwaters Forest Reserve, where the Falk townsite is located. Once a thriving community of 400 people, Falk was eventually abandoned, and became a ghost town. Traces of the town remain at Headwaters.